The story begins in North Carolina, where 18-year-old Tyler Welch is first accosted and then abducted by a vaguely familiar stranger who calls the teen 'Keith' and identifies himself as Mick Jakes, Tyler’s long-lost older brother. 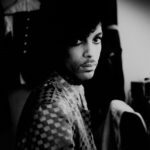 It develops that Mick and Keith were taken into custody by Social Services some 13 years earlier when a local sheriff named Wyatt McGee assisted on an abandoned child call. Retired in the book’s present, McGee is slowly drinking himself into oblivion over a costly error in judgment he made some years before. When Tyler’s adoptive father approaches McGee to help find Tyler, McGee rebuffs him at first ... Of course, McGee has no badge or authority to be of any assistance and is in no shape to do so. However, when security camera footage shows the brothers robbing a convenience store at gunpoint, McGee is compelled to act, not knowing that Tyler was forced into the act by Mick ... You will not stop reading Fortunate Son once you start. It clips along at such a pace that I was two-thirds of the way through and thought I had only just begun. If his work is unfamiliar to you, Fortunate Son is the perfect way to become acquainted. J.D. 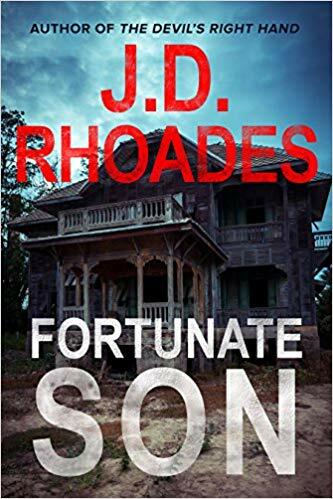 Rhoades’s Fortunate Son is a violent, fast-paced crime narrative that goes beyond guns, criminals, and high-speed chases to explore themes like loneliness, hope, loss, and redemption. Within the same story, Rhoades offers a variety of subplots: a man looking to make amends for a mistake he made 13 years ago, a mother desperately looking for her sons, a youngster coming to terms with the fact that he is happy to have left his past behind, and a cop learning to navigate the dangerous waters where informants, dishonest supervisors, and powerful criminals meet. The result of this mixture of interconnected stories is a novel that constantly moves forward while entertaining readers with its cinematic qualities and occasional humor. In this overly complicated standalone from Rhoades, Tyler Welch, a quarterback on his North Carolina high school football team, is taking an early morning jog when a stranger, who calls him Keith, forces him into a car at gunpoint before identifying himself as Tyler’s long-lost older brother, Mick. Meanwhile, a DEA agent and a deputy are set up in an abandoned house across the street from an informant, Savannah, and are listening to her being beaten by her lover, Charleyboy ... Shifting awkwardly among the various plot lines, Rhoades fails to make readers care about any of the sprawling cast. What did you think of Fortunate Son?